Rely on BeeMan Stan to take care of all your bee and wasp removal needs. We use safe, effective removal and treatment procedures to help ensure nests are relocated or safely removed. We offer competitive pricing and can complete most jobs within 24 hours, many within the same day. Bee Man Stan is licensed and certified to remove all stinging insects. At BeeMan Stan, we offer affordable and effective bee removal services. 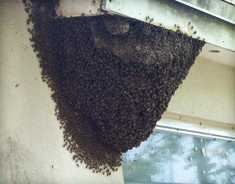 At BeeMan Stan, we offer bee and wasp removal services in central and west Florida. We specialize in removing any stinging insects, such as bees, wasps, and yellow jackets, along with their hives or nests. 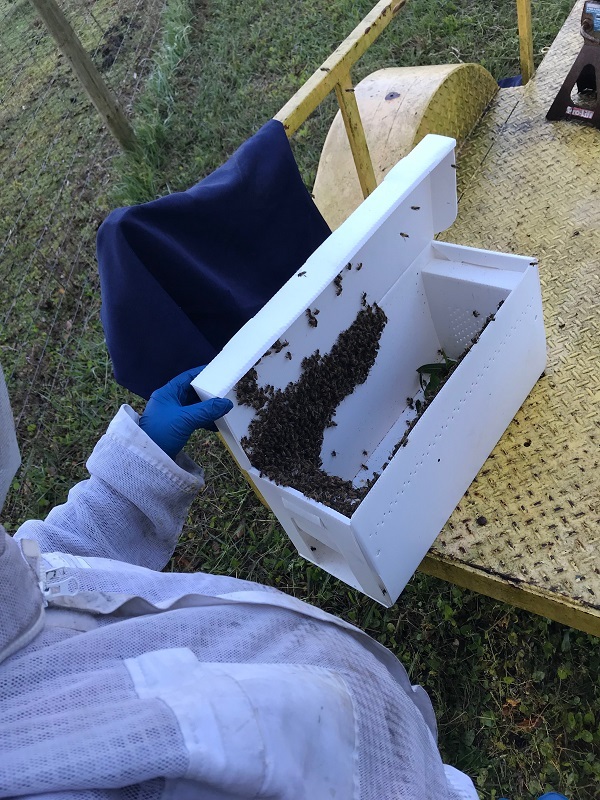 With over 1,000 jobs completed, Bee Man Stan and the rest of our team are licensed and insured to practice the art of pest control for homes and businesses in the state of Florida. Are you a contractor, property manager or municipal manager looking for solutions due to persistent stinging insect issues? Our team at BeeMan Stan has extensive commercial experience and can operate aerial equipment to provide high-reach capabilities when you need pest services at your business. Our work vehicles are off-road capable and fully self-contained with electric and water for remote area access. Additionally, with our quarterly treatments, we can help you more easily keep bees, hornets, wasps and yellow jackets away. We’ll knock down all nests and spray the eaves of your home or business with an eco-friendly product that provides long-lasting results. We will also inspect the perimeter of your property and prohibit the further intrusion of stinging insects, deterring them from rebuilding nests. We ensure that all stinging pests are eradicated by the time we’re done. In Need of Bee Removal? Please reach out with questions, comments or inquiries and we’ll respond right away. With a one-year warranty on our cleanout services, you can rely on us to take care of all your stinging insect problems in Clearwater. Contact us today to schedule services and to learn more about how we can assist you. We’ll take a sting for you! 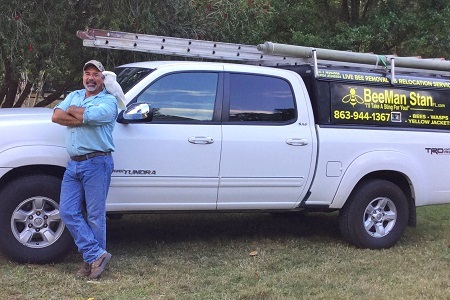 We’re experienced — 30 years of experience in construction combined with nearly a decade of bee removal gives Stan an advantage over the competition. It is this experience that truly sets us apart and makes us one of the most sought-after bee removal providers in the area. We provide superior customer service — We care about your satisfaction (take a look at our Google reviews!) which is why we’ll work hard to earn your trust when we provide bee removal services. If you have questions at any point, we’d be more than happy to answer them. Contact us today for bee removal in Clearwater. We work around the clock – Weekends, holidays, and after hour calls are not a problem for us. Call us right now and we WILL answer! Certified and Insured — BeeMan Stan is a Certified Pest Control Operator exceeding all requirements from the Florida Department of Agriculture. We also come prepared with a strong liability insurance policy, providing you additional confidence when we are working on your property. Bee Removal from inside the wall of a shed. We can remove bee hives from trees and other hard to reach places that require lifts or other aerial equipment. 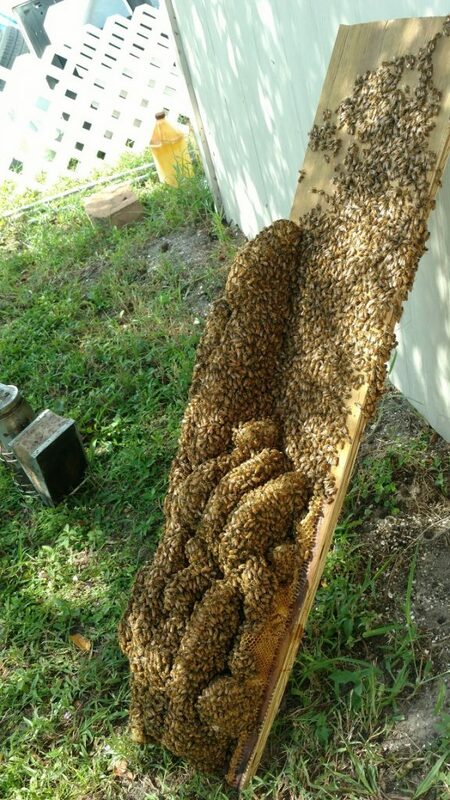 Call us at (727) 744-1527 for any bee removal needs. 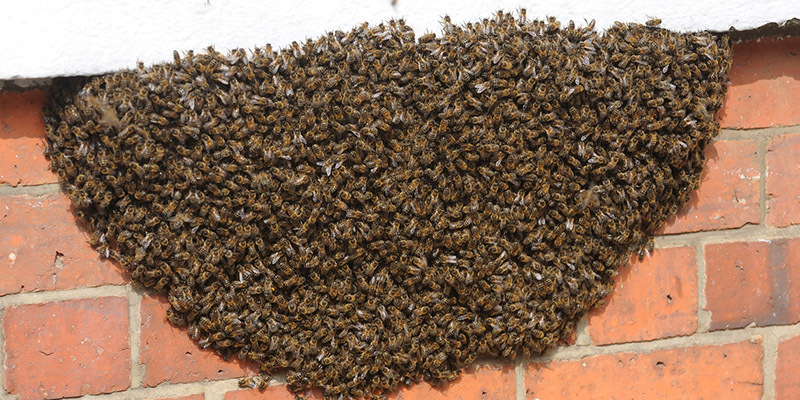 Honey bees are often the biggest nuisance because they like to build their bee hive in walls and roofs. However, honey bees are an important part of the ecosystem so it is important to always save the bees and relocate when possible. Honey bees will build a honeycomb to house their larvae and to store their honey and pollen. Within the first week, a honeycomb can weigh around three pounds and can continue to grow by up to a pound per day. 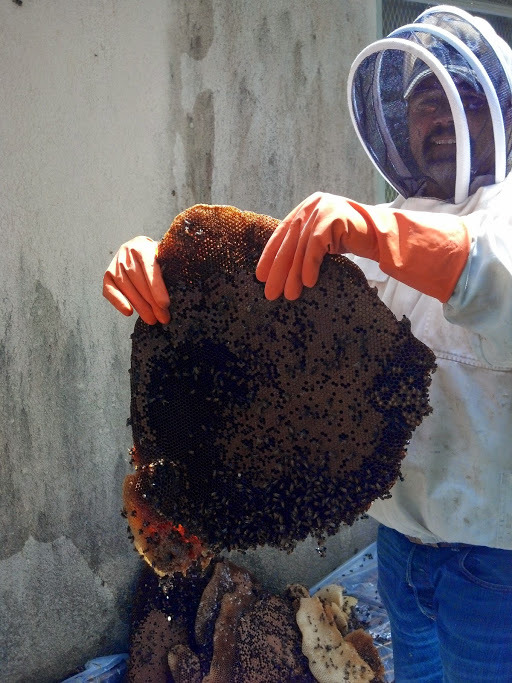 When honey bees build their hive in your house, it is important to remove the honeycomb in addition to just the bees. If the honeycomb is not removed, it could attract new swarms of bees. Bee Man Stan has removed honeycombs from under floors, water heater boxes, attics, and other unique areas. We always do our part to save the bees throughout Florida. Contact us today for your bee removal needs! A bee hive we removed from under the floor of a barn. Bee removal available seven days a week and all forms of payments accepted.